Smart Data: An Industry Is Born! The age of data has arrived as companies and governments make use of the information they collect and hold about us. Retailers collect data on our shopping habits, as a way to encourage us to spend more. Governments collect data on our personal lives, as a way to ensure our safety and provide more efficient services. 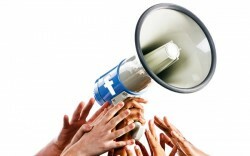 Facebook’s greatest asset to marketers has always been its audience — more than one billion active users, a figure that carries some weight. Super Fast Broadband, ideally located with modern facilities. 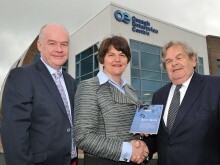 Omagh Enterprise has everything for your business. If you are a working parent, you may already feel trapped by the constraints of your job. 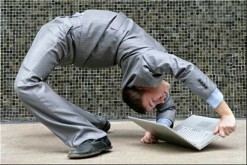 From the rigmarole of going to and from your workplace, the formality of office attire and the rigid working times. 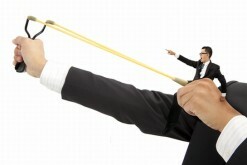 Have you ever thought that things would be easier if you could just do your job? Well with remote working, you can do just that. Event in Belfast to help local companies keep on the right side of the law and understand their filing requirements. The Social Enterprise Omagh Programme will be a running a new course entitled ‘Social Enterprise Business Planning ’ as part of the ongoing series of courses to assist social economy organisations within the Omagh District Council area. Harnessing Creativity are offering a range of free master classes during spring 2014 as listed inside. Businesses from Fermanagh met up with firms from Tyrone, Donegal, Leitrim, Cavan and Sligo at a cross-border digital marketing event held in Enniskillen last week. 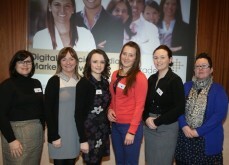 The Digital & Social Media Marketing Event, which took place at the Manor House Hotel, Enniskillen, informed local firms on how digital marketing can assist them develop their business, particularly when trading on a cross-border basis. What Is Inward Investment And Does It Matter? Inward investment plays a key role in the economy, as it creates jobs, introduces new skills and attracts overseas investment. It provides opportunities for local companies and helps strengthen and deepen private sector activity throughout the economy. 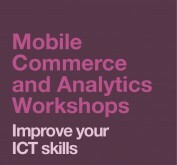 Invest NI is continuing its series of practical and interactive ICT workshops with the next two topics focusing on Mobile Commerce and Analytics. 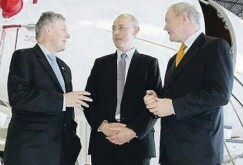 Northern Ireland could have a “landmark” year in 2014 if gradual signs of economic recovery continue, the enterprise minister has said. The No. 1 complaint from businesses new to social media is: “I just don’t have time.” What these people don’t realize is that social media doesn’t always require a huge commitment, especially Twitter. 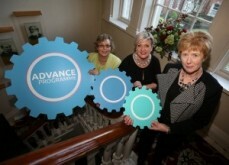 The Northern Ireland Science Park has launched the online application process for INVENT 2014, the new incarnation of the 25K Awards. 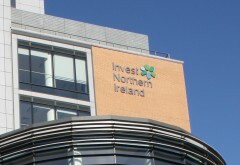 Northern Ireland has become a “prime location” for overseas investors, according to the first minister. There’s a new opportunity for employment for two young people from Omagh thanks to the Advance Programme – a unique pilot project that offers 24 weeks’ paid employment and on the job training. Are Business Rates Too High? Businesses face many challenges as costs rise and customers search for the best product at the best price in a relentless drive to find value. At the same time, government remains focussed on improving the economy and supports business in all sectors and industries. However, one of the biggest issues facing the viability of many businesses remains unaddressed: business rates.